He survived a murder attempt in the United States and death threats in Honduras. 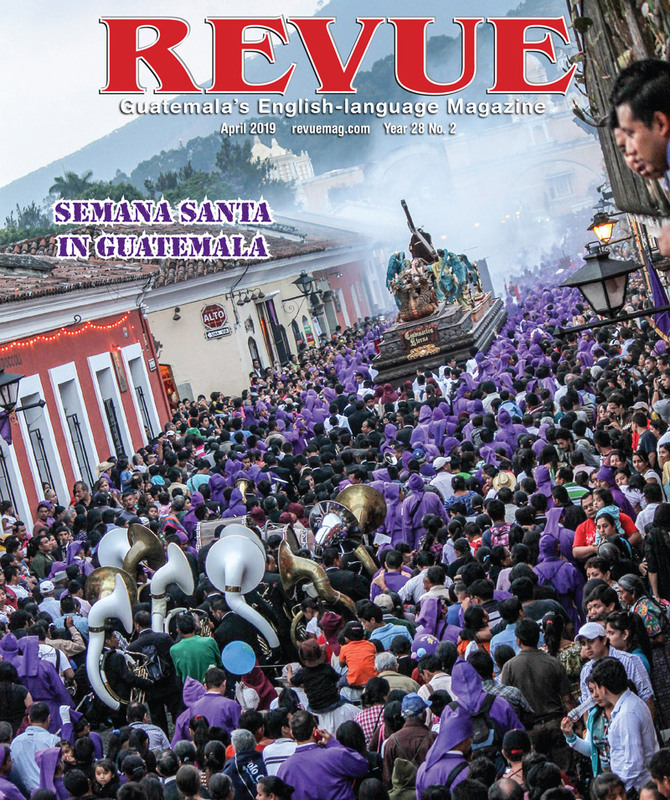 He touched off a brief crisis at the Mexican border and was the object of a frantic search in La Antigua Guatemala. 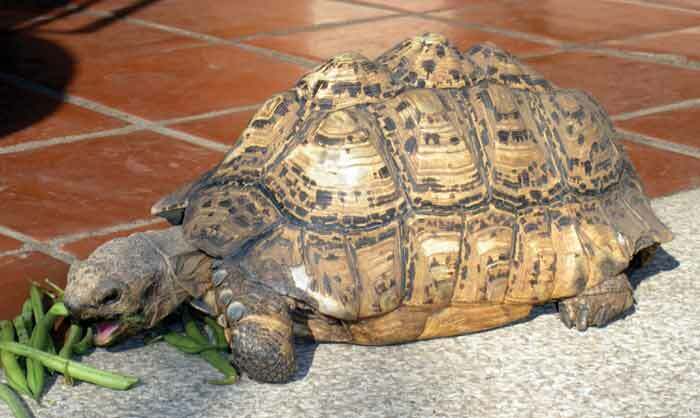 Yet as durable as the patterned shell he calls home, Jamal perseveres. 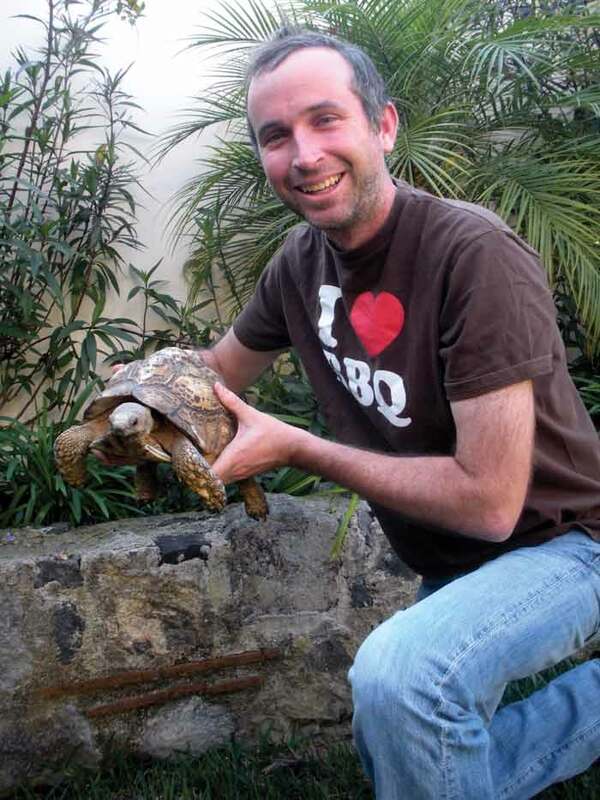 “Slow and steady wins the race, that’s his motto,” Antigua businessman Billy Burns says of his beloved leopard tortoise. 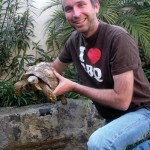 “Growing up, I always liked turtles and tortoises because my mom wouldn’t let me have a furry animal as a pet. 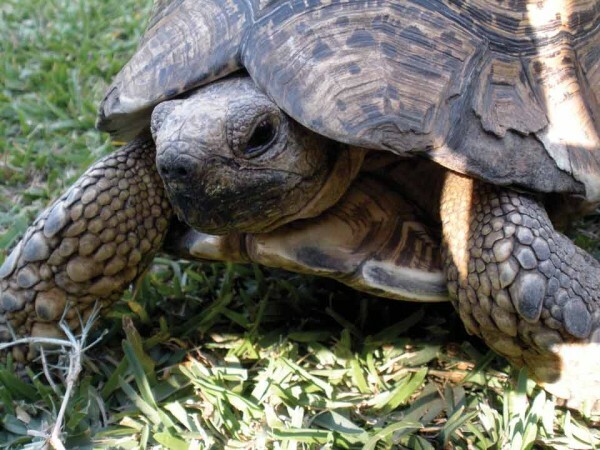 They were about the only option because they didn’t bark or shed,” says Burns, who purchased his tortoise in 1995 at a pet shop in Charlottesville, Virginia (USA). Turning 18 on April 1, Jamal enjoys a tranquil life in Burns’ back yard, following the sun in the morning, seeking shade in the afternoon, and eating green beans, broccoli and lettuce to his heart’s content. “This is his Garden of Eden,” Burns says proudly. 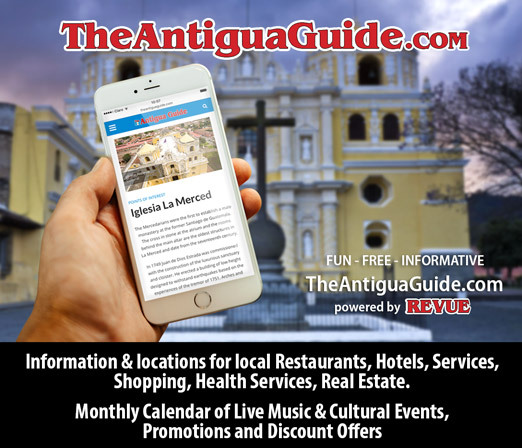 Although the 8-pound tortoise retracts into his shell if petted by a visitor, he shows no fear of Burns, co-owner of Monoloco Restaurant in Antigua. Indeed, they’ve bonded. Though pampered at home, Jamal has endured more than his share of adversity. Fortunately, nothing came of it and they returned to Guatemala. A few years later, Burns decided to return to his native Virginia for business school. By now Jamal was a seasoned, though undocumented, international traveler, but problems awaited as Burns’ jalopy of a VW bus rattled toward the Mexican border at Tecun Uman in western Guatemala. 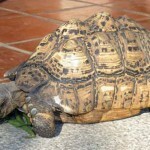 An Army officer used the barrel of his machine gun to poke through Burns’ belongings and uncovered the hidden reptile. He demanded $20, which Burns happily paid. Dissatisfied, they demanded formal identification. And through a fluke years earlier, Burns was already sitting on indelible proof. The rest of the trip was wonderfully uneventful. Yet only a few weeks after arriving in Virginia, Jamal faced more drama. Burns and his fiancée Kate were living in an apartment in Charlottesville, where Jamal stayed inside during the cold winters. Indoor privileges, however, also posed a potty-training challenge. Though his species prefers dry conditions, Jamal enjoys the sound of rain when relieving himself, Burns explains. Kate returned to her desk upstairs. “The water’s running, I’m doing my work and I forgot about him,” she confesses. Meanwhile, Jamal unwittingly closed the drain with his foot. He couldn’t escape as the water rose. “I heard something downstairs. I realized he’d been in the tub about a half hour. I ran in, and he’s up to his mouth in water—he’s up on his tippy toes, straining his neck, he almost drowned!” Kate recalls. An even-closer brush with death came in 2007 while still in Virginia. The neighbor’s German Shepherd tunneled under the fence and grabbed Jamal with his powerful jaws. Hearing the commotion, the neighbor rescued Jamal, who was traumatized but unhurt. “He stayed in his shell, so to speak, for a day and a half. He seemed to rebound quickly,” Burns says. Another scare came in 2009 after Burns had finished school and was living again in Antigua. Wearing pajamas and yellow Crocs, Nicholas embarked on a frantic search the next morning, this time going up and down the street in case Jamal had managed to sneak out front. Since then, Jamal has enjoyed life pretty much without incident—although he was taken aback when Burns and his wife adopted a 60-pound black Lab mix. “He didn’t come out of his shell for three or four days. Now they’re fine together,” Burns says. With a life expectancy of up to 100 years, Jamal eventually may be the pet of a future grandchild of 35-year-old Burns. Meanwhile, Burns is confident that Jamal will be safe from any more harrowing moments. “He’ll probably get his driver’s license taken away for driving too slowly, but that’s about it,” Burns muses.